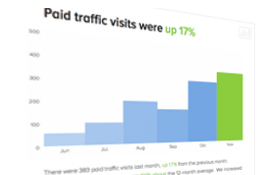 Automate your Google AdWords reporting process and wow your clients with beautiful and insightful PPC reports. Never manually download data again! With Measureful, simply connect your AdWords account and we’ll automate your PPC reporting process. Spend more time creating innovative PPC strategies for your clients and less time formatting and delivering PPC reports. Plans start at $50/mo. 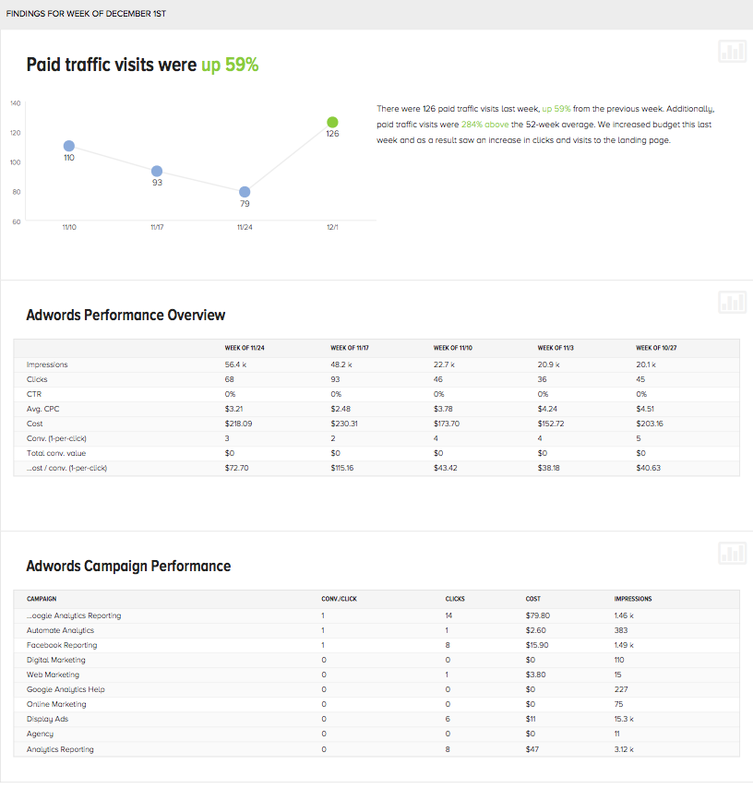 Report on your Adwords Account, Campaigns, AdGroups and keywords all in one place. Select the specific metrics to show and as much or little detail in the reports as you like. Show Adwords metrics such as impressions, clicks, CTR, cost and conversions over-time or compare various Campaigns and AdGroups. Our PPC reports include automatic AdWords analysis, narrations and visualizations to make them easy to understand. Edit the headlines and narratives or add your own. Customize the look and feel of your reports. Change sizes and layouts and add your logo to make it a fully white-labled deliverable. Select the specific metrics and manually set different sizes to emphasize importance. Add additional analysis and call out specific wins and next steps. Upload custom data from any source with simple copy/paste functionality.